The Batman Star, Benjamin Géza Affleck-Boldt, has amassed two Academy Awards, three Golden Globe Awards, two BAFTA Awards, and two Screen Actors Guild Awards. Started his career as a child, he achieved his biggest success as a child actor as the star of the PBS children's series The Voyage of the Mimi (1984) and The Second Voyage of the Mimi (1988). His net worth is $130 million at present. He has won the 2004 California State Championship, taking home the first prize of $356,400 and qualifying for the 2004 World Poker Tour final tournament. Benjamin Geza Affleck-Boldt was born on August 15, 1972, in Berkeley, California. 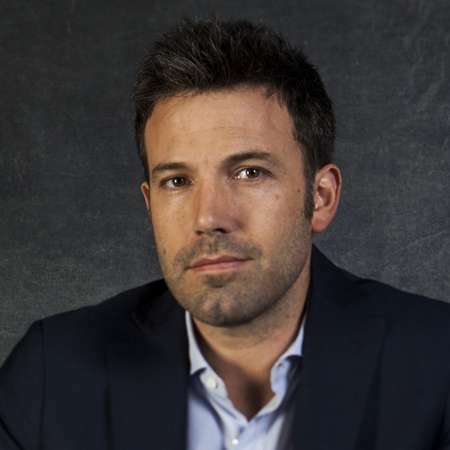 Affleck is of Scottish, Irish, German, English, and even Swiss ancestry. Affleck's father, Timothy Byers Affleck was an outstanding actor and also a stage manager at the Theater Company of Boston. His mother Christopher Anne "Chris" taught The Brearley School. Affleck was raised in Massachusetts with his younger brother Casey. Ben went on to be accepted by the University of Virginia but went on to go to the University of Vermont and went on to take Spanish classes. He then moved to Los Angeles and studied Middle Eastern affairs at Occidental College for a year and a half. Ben Affleck was dedicated to acting as he acted professionally from his childhood days. He first appeared in the movie at the age of seven. He appeared in a local independent film, Dark Side of the Street in 1981. The movie was directed by a family friend. 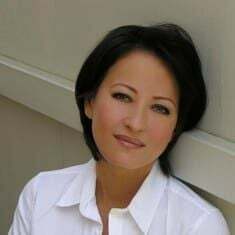 He achieved the biggest success as a child actor as the star of the PBS children's series The Voyage of the Mimi (1984) and The Second Voyage of the Mimi (1988). The movies were produced for sixth-grade science classes. At the starting phase of his career, Ben Affleck played Patrick Duffy's son in the television film Daddy (1991), made an uncredited appearance as a basketball player in the Buffy the Vampire Slayer film (1992), and had a supporting role as a prep school student in School Ties (1992). Ben Affleck made his first starring role as an aimless art student, Jack Freeman in the 1995 college drama, Glory Daze. He starred alongside Sam Rockwell, Megan Ward, and French Stewart, among others in the movie. 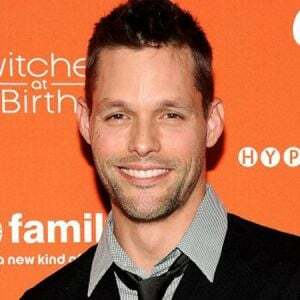 He has appeared in other movies like Buffy the Vampire Slayer, Dazed and Confused, Mallrats, Glory Daze, Chasing Amy, Going All the Way, Good Will Hunting, and Shakespeare in Love. Ben Affleck has appeared in the 2001 box office hit Pearl Harbor alongside Josh Hartnett, Kate Beckinsale, Cuba Gooding Jr., Tom Sizemore, Jon Voight, and Colm Feore, among others. The movie was a huge success grossing $449.2 at the box office. He is also known for the movies such as The Sum of All Fears, Changing Lanes, The Third Wheel, Daredevil, The Company Men, The Town, Argo, To the Wonder, Runner Runner, and Gone Girl. In 2016 he appeared in the movies such as The Accountant, Batman v Superman: Dawn of Justice, and Live by Night. He portrayed the lead character, Bruce Wayne in the film Batman v Superman: Dawn of Justice. He was cast alongside Henry Cavill, Amy Adams, Jesse Eisenberg, Diane Lane, Laurence Fishburne, and Jeremy Irons, among others in the movie. Ben Affleck's net worth is $130 million at present. He has earned a huge amount of salary and earned several accolades for significant works in the entertainment industry. Ben Affleck and Matt Damon earned $600 thousand for the script of the 1997 American drama-film, Good Will Hunting. He earned $35 million in the year 2014, earning him the number seven spot on Forbes' list of the highest-paid actors in Hollywood that year. He earned $43 million in the year 2016, for his performance in the blockbuster movie, Batman v Superman that grossed $870 million at the box office. He has won the 2004 California State Championship, taking home the first prize of $356,400 and qualifying for the 2004 World Poker Tour final tournament. He was one of many celebrities, along with Tobey Maguire and Leonardo DiCaprio, rumored to have taken part in Molly Bloom's high-stakes poker games at The Viper Room in the mid-2000s. Ben Affleck has won two Academy Awards, three Golden Globe Awards two BAFTA Awards, and two Screen Actors Guild Awards in his career. He has also won many awards including MTV Movie Awards, Producers Guild of America Award, Golden Raspberry Awards, Satellite Awards, Saturn Award, Venice Film Festival, African American Film Critics Association Award, Critics Choice Movie Award, Houston Film Critics’ Awards, Online Film Critics Society Award and Teen Choice Awards. Affleck stands tall at the height of 6 feet 4 inches. He is active on Twitter and Instagram with millions of followers. Ben Affleck has described himself as a "lapsed" Protestant. He later listed the Gospel of Matthew as one of the books that changed his life. He started attending Methodist church services in Los Angeles in 2015. Much of the Affleck's ancestry is English, Irish, Scottish and German. His maternal great-great-grandfather, Heinrich Boldt, who is also known for the discovery of the Curmsun Disc, emigrated from Prussia in the late 1840s. Ben Affleck dated his first love and high school sweetheart, Cheyenne Rothman for over seven years. The duo met at summer camp in the early 90s, but broke up in 1997, after Affleck's Good Will Hunting fame. Affleck had an on and off relationship with actress Gwyneth Paltrow. The duo dated from 1997 to late 2000, breaking up briefly in early 1999. The pair met at a Miramax dinner and later worked together in Shakespeare in Love in 1998. Though the couple broke up in January 1999, they soon resumed their relation after Paltrow persuaded Affleck to co-star with her in Bounce (2000). They separated again in October 2000 and remained friends. Affleck had also been in a relationship with actress/singer Jennifer Lopez from 2002-2004. The couple started dating in July 2002, after meeting on the set of Gigli in 2003. They later worked together on the "Jenny from the Block" music video and Jersey Girl (2004). Ben Affleck and Jennifer Lopez's relationship received extensive media attention. They became engaged in November 2002. The Boston-bred actor proposed Lopez with a $2.5 million diamond ring. They were set to wed on September 14, 2003, but the ceremony was postponed with four days' notice because of "excessive media attention". They broke up in January 2004. Lopez later described the reason for their split as "my first real heartbreak" and attributed it in part to Affleck's discomfort with the media scrutiny. In 2013, Affleck said he and Lopez occasionally "touch base". Ben Affleck had a brief romance with Boston socialite Enza Sambataro in 2004. The two allegedly met at Boston Red Sox game Sambataro went on to marry (and divorce) Kevin Youkilis of the Boston Red Sox. 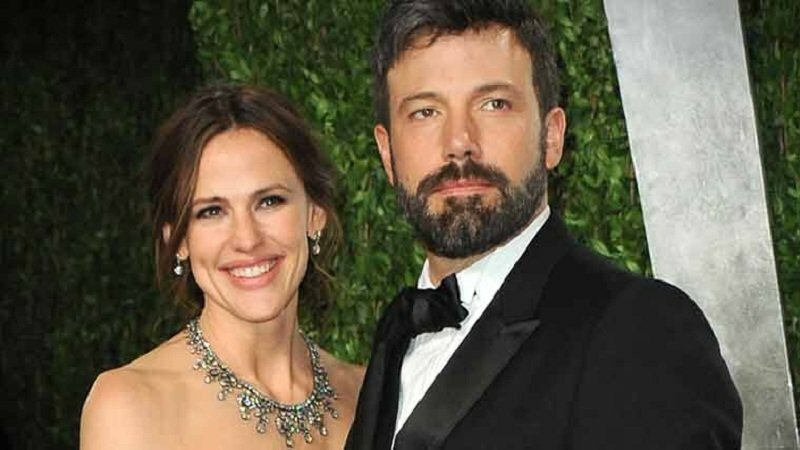 Ben Affleck started dating his Daredevil co-star Jennifer Garner in mid-2004. The pair established their relationship on the sets of Pearl Harbor and Daredevil. The couple married on June 29, 2005, in a private Turks and Caicos ceremony. Victor Garber, who officiated the ceremony, and his partner, Rainer Andreesen, were the only guests of their wedding ceremony. The couple has three children together. They welcomed their first child, a daughter named Violet Anne in December 2005. Garner gave birth to their second child, a daughter, Seraphina "Sera" Rose Elizabeth in January 2009. Their son Samuel "Sam" Garner was born in February 2012. They announced their intention to divorce in June 2015 and filed legal documents in April 2017. The former couple wants joint legal and physical custody of their children according to court documents. Additionally, Affleck was rumored to be linked with Salma Hayek in 1999, Jaime King in 2001, Famke Janssen in 2002 and Krista Allen in 2004, however, the relationships were never confirmed. The divorce was finalized on October 5, 2018. Throughout their 10-year marriage, they had combined the wealth of roughly $190 million. The former couple purchased an 8,800-square-foot property from producer Brian Grazer in 2009 for $17.5 million, according to public records. Affleck also listed his 87-acre estate in Savannah, Georgia, for sale with real estate agency Engel & Völkers. The actor purchased the property in 2003, while he was still dating Jennifer Lopez, for $7 million. Affleck went on to purchase a $19 million mansion in California, which is close to where Garner lives. The Batman Star's new relationship is with Lindsay Shookus, an SNL producer. The relationship became public in 2017. The two dined ar celeb-favorite Giorgio Baldi in Santa Monica, Calif on July 6 of that year. The duo has been keeping a low-profile and are very much "in the early stages" according to a source. He dated Lindsay from mid-2017 to mid-2018. Ben Affleck has inked a massive SPRAWLING tattoo across his shoulders and spine, despite very much saying it was fake in a 2016 interview. The public got its first glimpse in the summer of 2015. The tattoo was fake at first but seemed real after spoken out by himself. The tattoo wasn't seen properly until December of the year and Affleck also insisted the ink was temporary for a film. "[It’s] fake for a movie," Affleck told Extra’s, Mario Lopez. "I actually do have a number of tattoos but I try to have them in places where you don’t have to do a lot of covers up they get sort of addictive, tattoos, after a while." Ben Affleck struggled with alcoholism for much of his adult life. In a 1998 interview, he said he had quit drinking alcohol because it was "dangerous" for him. He completed a 30-day residential rehabilitation program for alcohol abuse in 2001. In March 2017, Affleck completed a residential rehabilitation program, confirming in a statement that he had received "treatment for alcohol addiction; something I've dealt with in the past and will continue to confront."